In future mines, monsters will be used to go into places too dangerous for humans. A ‘monster’ is one of the latest prototypes unveiled by the Council for Scientific and Industrial Research (CSIR) at the recently-launched Mandela Mining Precinct in Johannesburg. It’s a robot platform equipped with sensors that will inspect underground areas to ensure they are safe for miners to work in (rockfalls are one of the biggest contributors to deaths on deep-level mines). 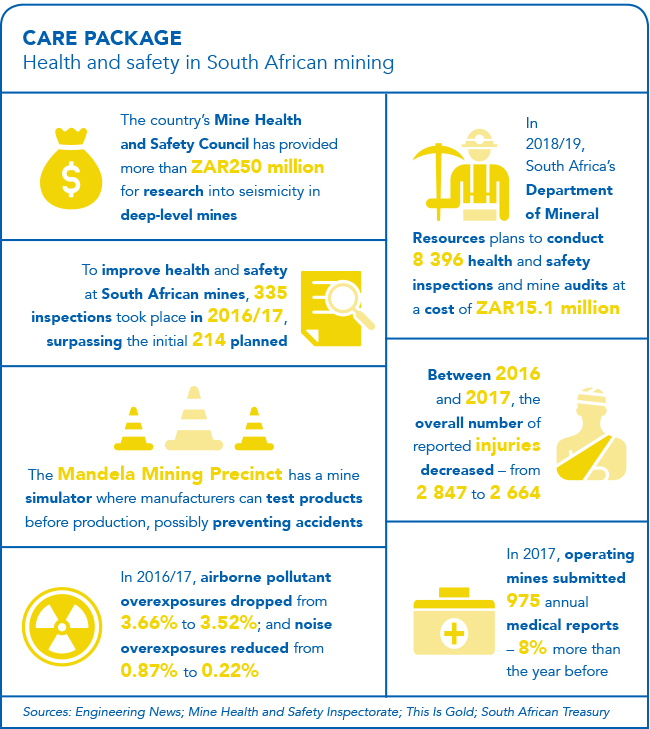 Since 1993, considerable amounts of money and effort have been expended by South African mining companies to reduce the numbers of people killed in mines from hundreds to an ultimate target of zero by end-2020. By 2016, these efforts had reduced fatalities by 88%. Yet the first few months of 2018 saw an unexpected rise in disasters. Between January and July, 58 people died compared with 51 in the same period in 2017, mainly because of seismic activity, falls of ground and fires. In 2017 global miner Anglo American lost nine employees in fatal accidents – all in South Africa. 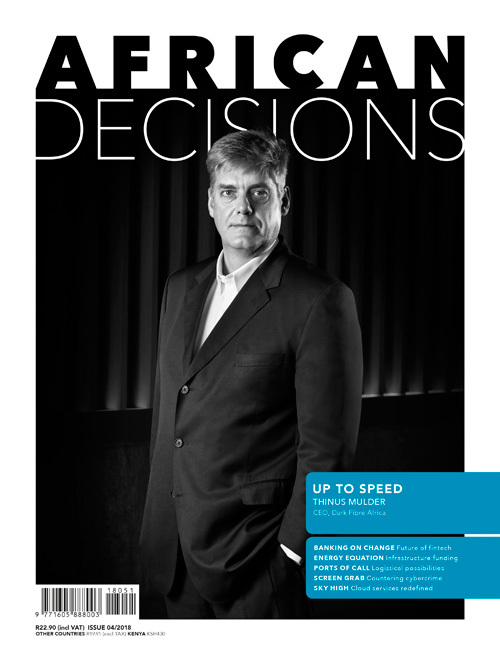 ‘Safety is our most critical area of focus, and while we must recognise significant progress over recent years, reducing our safety incident rates by more than 40%, we still have a long way to go on our journey to zero harm,’ CEO Mark Cutifani notes in the group’s annual report. 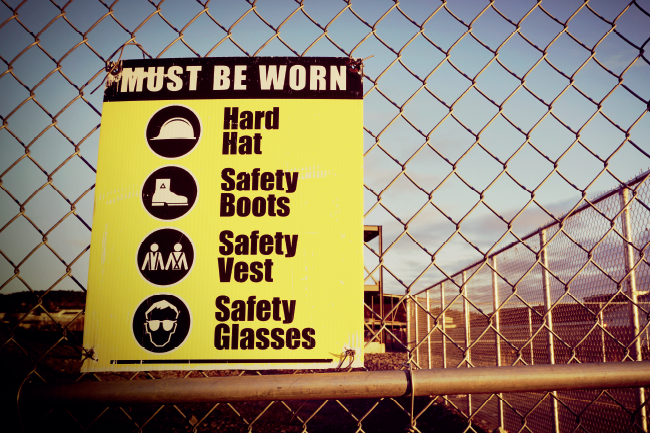 Mining companies’ approach to reducing fatalities has been two-pronged: addressing behaviour by embedding a safety culture, and using engineering to make workplaces as safe as possible. Yet changing culture, through training and messaging, has not been easy. After a surge in accidents at Impala Platinum in 2015/16, including the loss of four lives in an underground fire, former Impala Platinum CEO Terence Goodlace said analysis showed that human failure was a significant factor in these events. 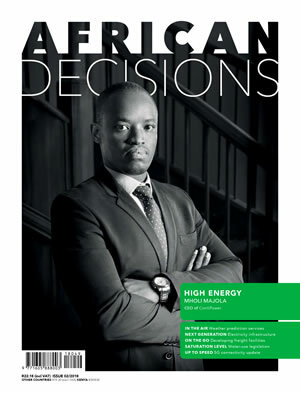 Implats subsequently renewed its focus on ensuring its employees had the right skills, team work, knowledge, motivation, attitudes and abilities to achieve zero harm. Goodlace said what was needed was a culture where employees did not feel compelled to follow the rules because of pressure from supervisors but from a desire to protect their own and their colleagues’ safety. In a 2016 study conducted in a Free State gold mine, researchers found that about half the accidents were caused by ‘sub-standard’ or careless behaviour. The reasons for this included weaknesses in team spirit and leadership, inappropriate training and shortcomings in managerial styles. More recently, Sibanye-Stillwater experienced a surge in serious accidents at its deep-level gold mines between February and July 2018, with 21 employees losing their lives. 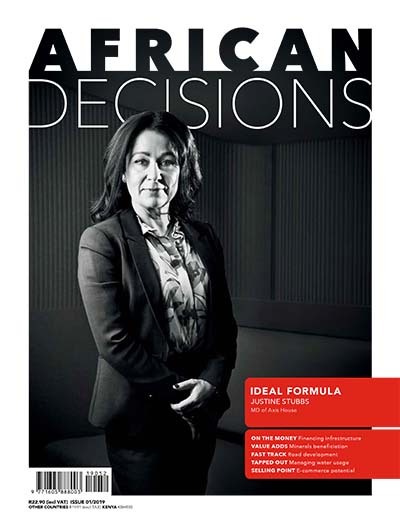 ‘In my entire 40 year career, I have never experienced anything like this,’ CEO Neal Froneman said in a conference call in July, adding that it was necessary to ‘do things differently, by impacting attitude and safe behaviour’. Sibanye drew up a multi-pronged approach with all its stakeholders involving, among other things, a review of safety structures, training in various aspects including leadership and culture transformation, incentive schemes, digitalisation and communication. ‘There is compelling evidence that a safe working environment is a productive working environment,’ says Froneman. ‘Companies can definitely assist in providing innovative and cost-effective technologies to dramatically improve safety and productivity in older established mines as well as in greenfield mines. Be it above or underground,’ says Gunter Haacke, Trysome chief operating officer. Yet, irrespective of the technology used, he adds, a safety culture is non-negotiable. ‘The key here is to ensure the buy-in of the workers, clearly communicating the health and safety benefits of adopting any new equipment or work methodologies,’ according to Haacke. 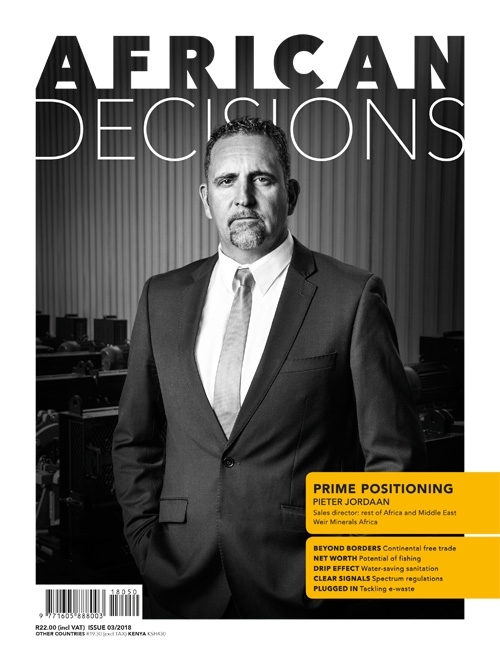 ‘SA’s mining landscape, particularly in the gold and platinum sectors, is populated in the main with labour-intensive operations using methods that have remained relatively unchanged for scores of years,’ Southern African Institute for Mining and Metallurgy (SAIMM) president Alastair Macfarlane states in the institute’s September journal. Although new mines are now embedding more modernisation, in practice it is almost impossible to automate operations in older mines. The approach to modernising older mines is combining changes in the way people work and communicate with safer and more efficient equipment. According to the Minerals Council South Africa, an essential element of curbing underground accidents as far as possible is removing miners from workplace dangers or, if that is not possible, installing technology to protect them. This includes anti-collision technology for underground trackless equipment (since many accidents are transport-related – where miners are run over by equipment because the drivers cannot see them), securing hanging walls with netting and bolts, hydro-powered rock drills and opting for water-based explosives mixtures that can be detonated electronically. Since the Chamber of Mines Research Organisation (Comro) was closed down in 1990 and some of its programmes combined with the CSIR, local research into innovations in mining was for many years confined to the universities, the CSIR and Mintek. Mining companies have continued some research funding of programmes at those institutions. Sibanye-Stillwater, for example, in partnership with the Wits Mining Institute at the University of the Witwatersrand, recently established the Sibanye-Stillwater Digital Mining Laboratory (DigiMine) – a simulated mining environment with a vertical shaft, tunnel and stope equipped with communications and digital systems for research. WMI director Fred Cawood says ‘safety and competitiveness are cornerstones of a sustainable mining sector, which can contribute to the country’s NDP by reducing poverty and inequality. Our interventions will explore any innovations that can apply real-time digital solutions for reducing mining risk and increasing mining efficiency’. Anglo American has a programme called FutureSmart Mining, which deploys innovative technologies to make mining smarter and safer. For example, it recently introduced a semi-autonomous drill at its Dawson metallurgical coal mine in Australia, which is operated by a controller 4 km away. It also uses fibre optics to monitor the integrity of tailings dams – a necessity underlined by the catastrophic collapse of the Samarco dam in Brazil in November 2015. The disaster at the mine, which is jointly owned by BHP Group and Vale, killed 19 people and caused massive environmental damage. In the past couple of years, following the Mining Phakisa in late 2015, a joint industry and government effort was launched to revive collaborative research. After Phakisa, the participants formally adopted the South African Mining Extraction Research, Development and Innovation (Samerdi) strategy. In September 2018 the Mandela Mining Precinct in Melville, on the site of the former CSIR mining research offices, was officially launched. The Mandela Precinct is intended to co-ordinate mining research and innovation, and promote localisation of mining equipment and components. Mining Equipment Manufacturers of SA and CoalTech have a presence in the precinct. It is a collaboration between the Minerals Council South Africa, the Department of Science and Technology (through the CSIR), and the universities of Johannesburg, Pretoria and Witwatersrand. The Mandela Precinct follows broad programmes that are similar to the workstreams identified by the Mining Phakisa. The first is called Longevity of Current Mining (LoCM). It aims to research short-term solutions for current conventional mines to extend their lives and return them to profitability, which is important to preserve jobs. The second is exploring mechanisation of operations using drilling and blasting, where it is appropriate. South Africa has some mechanised mines already, including gold mines Target and South Deep as well as some platinum, diamond and base metals operations. But some orebodies cannot be mined safely or economically using mechanisation. The third programme, long term in nature, focuses on research and development of continuous mining methods, which do not depend on blasting, and technologies that allow mechanised and autonomous mining of orebodies. Supporting these three programmes are three others: advanced orebody knowledge; real-time information management systems; and how to apply technology successfully in human terms. Advanced orebody knowledge is aimed at creating 3D models of orebodies and their geological setting, to help manage structural risks and enable them to be mined using capital-intensive mining. The real-time information management systems programme focuses on the digital revolution in mining and designing a system that is specifically suited for mining, particularly underground. Applying technology successfully involves people, says Macfarlane. It means a common understanding of modernisation has to be developed, along with impact assessments, change management processes and extensive engagement. It has been difficult for South African mines to sustain research and development spending through the ups and downs of the commodities cycle and the additional costs imposed by local mining legislation. The 2014, 2015 and 2016 Department of Science and Technology’s R&D Surveys for 2014 to 2017 showed while the country’s research and development expenditure was rising, that of the mining and quarrying sector had fallen every year. 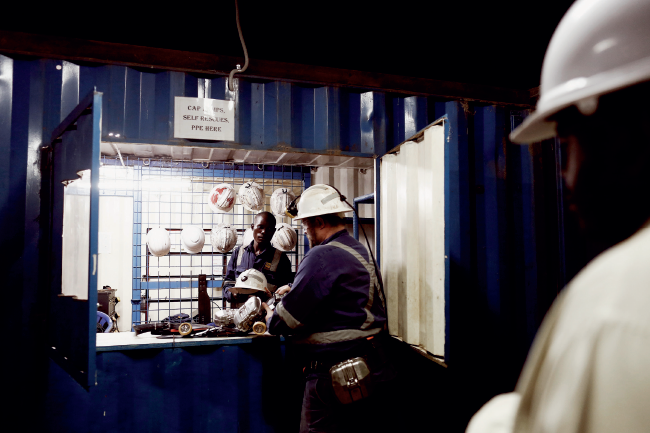 As a result, South African mines have lagged behind their Australian and US peers in areas such as modernisation and safety. Now they are catching up, as it has become increasingly obvious that addressing those two elements pays for itself, through improving productivity and increasing profitability.